Nigeria ’s major financial institution, United Bank for Africa Plc has announced its audited results for the financial year ended December 31, 2017, which show significant growth from the contribution and market share from its pan-African subsidiaries, among other positive trends in the financial performance. The pan-African financial institution’s audited results showed that gross earnings grew substantially to N462 billion, up by 20 percent from N314 billion recorded in the corresponding period of 2017. According to the report released to the Nigerian Stock Exchange on Friday, the Group delivered a strong 16% year-on-year growth in profit before tax of N105 billion, compared to N90.6 billion in the 2016 financial year. The Profit After Tax also leaped to N78.6 billion, an 8.8% year-on-year growth compared to N72.3 billion in 2016. The Bank’s subsidiaries outside Nigeria contributed a third of the Group’s top-line and 45% of the profit for the year, a remarkable improvement from 31 percent contribution made by the ex-Nigeria offices in 2016. This, according to market analysts affirms the success of the Bank’s expansion strategy, with target of 50 percent contributions by 2020. The Bank’s Operating Income grew to N326.6 billion, a 20.6 percent increase compared to N270.9 billion recorded in 2016. This, according to analysts, affirms the capacity of the Group to deliver strong performance through varying economic cycles and challenging business environment. The audited results also showed that the Bank’s Total Assets peaked at N4.07 trillion, translating into 16.1 percent year-on-year growth from the figure of N3.50 trillion recorded as at 2016 financial year. In the 2017 financial year, the Bank’s Net loans achieved a prudent 9.7 percent growth at N1.65 trillion, while the customer deposits grew to N2.73 trillion, representing 10 percent YoY growth on N2.49 trillion recorded in 2016 financial year. Reflecting a strong internal capital generation, the Bank’s shareholders’ fund also soared 18.2 percent to N529.4 billion in the 2017 financial year. Subject to the approvals of the shareholders, the Board of UBA Plc proposed a final dividend of 65 kobo per every share of 50 kobo each. This final dividend proposal is in addition to the 20 kobo per share interim dividend paid after the audit of the 2017 half year financial statements, thus putting the total dividend for 2017 financial year at 85 kobo per share. “In 2017, we made strong progress in our strategic initiative of dominating transaction banking across all our countries of operation, gaining market share in all lines of our business. Even as the non-oil sectors of our largest country of operation, Nigeria, remained relatively weak, we still grew earnings by 20% to N462 billion, a third of which is attributable to non-funded income,” he further noted. Apart from the strong financial performance in 2017, UBA Group proved its leadership on the continent as the Banker Magazine crowned the Group, “African Bank of the Year 2017”. To further demonstrate the group’s strength and dominance in the financial sector on the continent, four of UBA Group’s operations in Africa also led contenders in their respective countries to emerge the Best Bank of the Year 2017 in their respective markets. UBA Congo, UBA Tchad, UBA Gabon and UBA Senegal emerged the Best Bank of the Year in Congo, Tchad, Gabon and Senegal, reinforcing the strong franchise of the Group across its chosen markets in Africa. United Bank for Africa Plc is a leading financial services group in sub-Saharan Africa, with presence in 19 African countries, as well as the United Kingdom, the United States of America and France. From a single country operation founded in 1949 in Nigeria, Africa’s largest economy, UBA has emerged as a pan-African provider of banking and other financial services, to c.10 million customers globally, through one of the most diverse service channels in sub-Sahara Africa; 632 business offices, 1,750 ATMs, some 13,500 PoS, and a robust online and mobile banking platform. 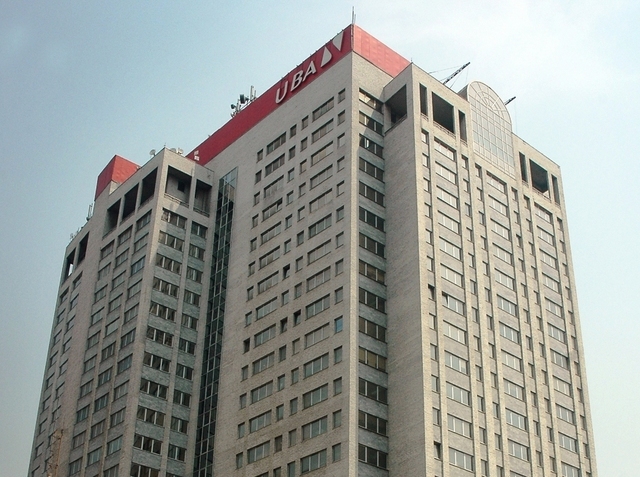 UBA was the first Nigerian bank to make an Initial Public Offering (IPO), following its listing on the NSE in1970. It was also the first Nigerian bank to issue Global Depository Receipts (GDRs). The shares of UBA are publicly traded on the Nigerian Stock Exchange (NSE) and the Bank has a well-diversified shareholder base, including foreign and local institutional investors as well as individual shareholders.